Following the 2006 FIFA World Cup, Sunshine Coast football enjoyed some of the most significant growth in player numbers within Queensland. Growth occurred across all sectors of the game but particularly in younger players and females. It became obvious that despite the marketing and development programs being very successful in increasing the number of players entering the code, there was still a need to provide development opportunities for elite players. Managing Director Noel Woodall established Sunshine Coast FC in 2007 to provide Sunshine Coast players with pathways for advancement in their football career through the Queensland State League (QSL). From 2008 to 2012 Sunshine Coast FC Senior Men’s team competed in the QSL. The women’s FIRE team played in the Sunshine Coast Zone Football Competition in 2008 and 2009. The under 21 men’s team played in the Queensland State Youth League (QSYL) in 2009 and was the precursor for the under 19 men’s team which competed from 2010 to 2012. 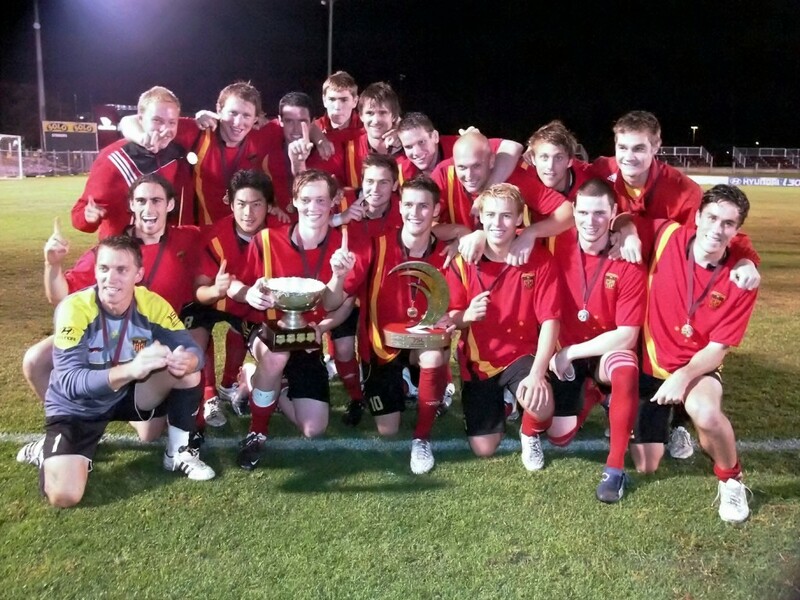 The Gympie Fire under 19 men’s team were formed in 2011 and played in the QSYL until 2012. The success of the club to date can be partly measured by its achievements on the playing field. In the inaugural QSL season in 2008, the men’s FIRE team won the Premiership, Championship and Golden Boot Award. In the process they set a League record of 19 undefeated fixtures in a row. The women’s FIRE team won the Premiership, Championship and Golden Boot Award in the 2008 Sunshine Coast Football Zone Competition and also won the prestigious Two Coast Cup. The team went through the whole season undefeated. The 2009 season also saw a strong overall performance by the club’s Senior Squad when it finished third in the points tally. The squad set a second League record of 12 matches undefeated. The new under 21 squad performed better than their final position on the table would suggest. The women’s FIRE took out the Premiership and Championship in the 2009 Sunshine Coast Football Zone Competition for the second year in a row. The 2010 season was again a great success for the club with the men taking out both the Premiership and Championship and the Youth gaining a second in the Premiership and taking out a hard fought Championship. Tyson Holmes also took out the QSL Player of the year for the second year running. Again 2011 was no disappointment with the seniors taking the double out. To make a great year the youth also took out the double. The 2012 season saw Sunshine Coast FC’s senior men’s team again secure the Championship in the club’s first ever home-ground grand final. The under 19s men’s team finished fifth on the ladder while the Gympie Fire finished sixth. In late 2012 the FFA, in partnership with its state-based Member Federations, rebranded the premier league in each state under a single banner – National Premier Leagues (NPL). Under this license the Under 12, Under 13, Under 14, Under 15, Under 16 and Under 18 teams were formed, along with the Under 14 and Under 18 years women’s teams. Sunshine Coast FC also launched a Professional Development Academy to lay the foundation for the future success of teams from juniors through to the senior team. During the 2013 season Sunshine Coast FC was again able to prove it is amongst the best in the State with the First Team making the finals and the Under 18 team winning the Premiership. Our inaugural junior elite player program also proved effective with seven of the eight junior teams, both boys and girls, finishing in the top four and a record number of players selected for State representation. The club continues to expand its overseas connections with relationships with clubs in the Japanese J League, Japanese National University League, the Solomon Islands and Papua and New Guinea. Former club players now play in the A League, K league, O league and several have played for their country.